With your recurring donation, you can help up to 12 children in one year to receive this support ! The PYSRC Project started at April 2013 to help treat children with Cerebral Palsy. This project is estimated to finish by the year 2019. Plant the seed of future by being a part of the children's life in North Korea. Your gift ensures the children access to proper education and care. Winter in North Korea can be hard for the children of N.K. Your gift not only ensures the children to have proper shoes for warmth, but also contribute to the children's happiness. 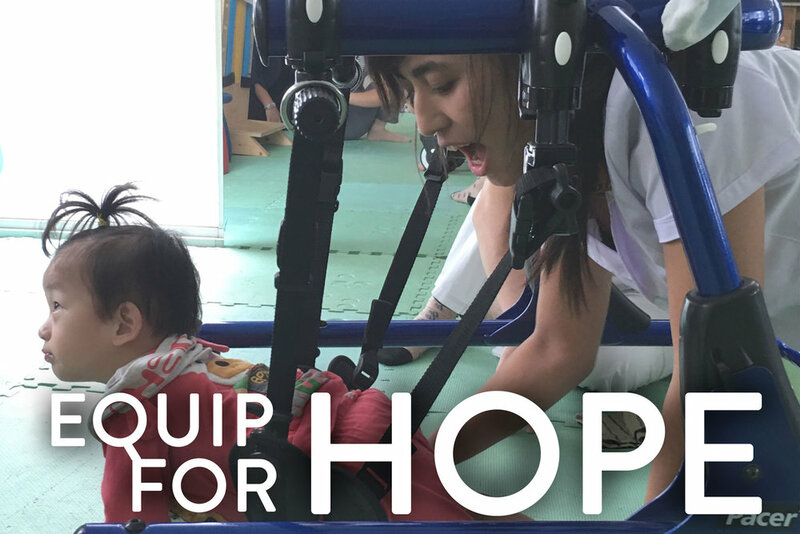 We currently have an ongoing campaign, EQUIP-FOR-HOPE, to help furnish PYSRC with the proper rehabilitation equipment and therapy tools for the children. Join our efforts today!